Energy is everything when you're running, saving it or using it. 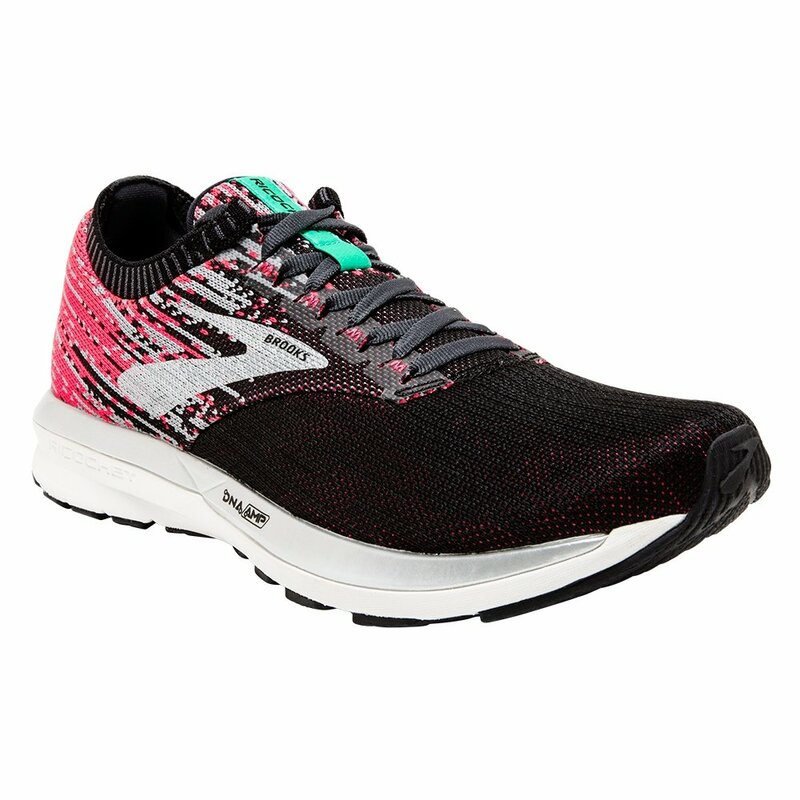 So the Brooks Ricochet Running Shoe is designed to do both. It's an ultralight design that uses a Fit Knit Upper and earth-friendly BioMoGo DNA midsole to keep the grams away, as well as provide a comfortable ride with an excellent fit. And the energy comes back in a powerful way from the embedded DNA AMP insert, which is designed by Brooks to take the energy of every impact and turn it into a powerful push forward in your next step.